AmeriCorps and South Texas College are seeking participants for its Continuing Education volunteer program. Volunteers are needed to assist with GED, ESL, computer, workplace and literacy initiatives. 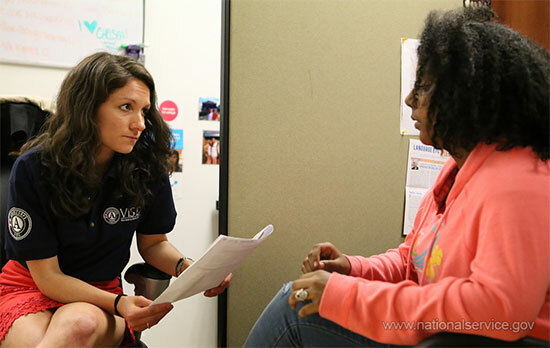 AmeriCorps VISTA, along with STC’s Continuing Professional and Workforce Education, recently began the year-long program in an effort to assist low-income communities. Garcia says the sooner people volunteer, the better to both serve the community and fight poverty together. “Getting involved with this initiative will allow volunteers to bring a halt to the 36 million adults in the United States that lack basic work skills like literacy, and help the citizens of South Texas gain the skills they need in order to reach their maximum potential,” says Garcia. For more information on volunteering, contact Garcia at 956-872-1671 or alyssa.n.garcia01@gmail.com.